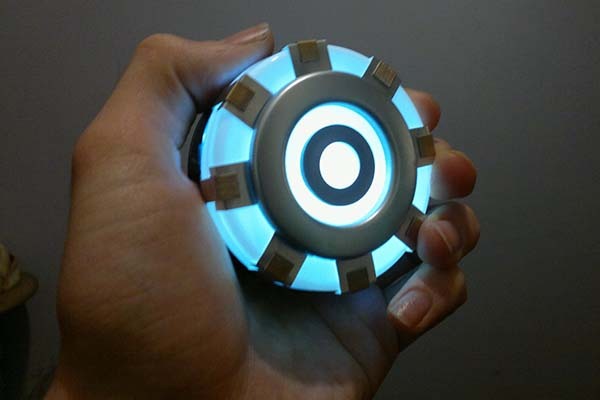 This is a well-crafted and highly detailed arc reactor replica handmade by a London-based crafter. 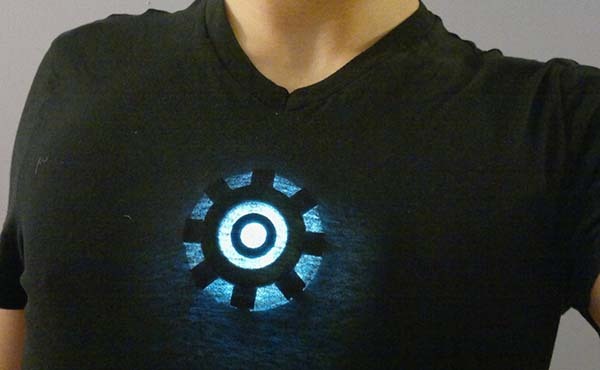 The wearable arc reactor measures 3 inches in diameter by 1.4 inches depth, and as we can see from the images, the prop features subtle detailing, and it faithfully simulates the cool blue/white glow of the original arc reactor in the movies, furthermore, the replica is designed to worn over or under a T-shirt in order that you can easily recreate the look of Tony Stark, but undoubtedly the reactor can’t generate power. Sorry for that, you have to load 3 AAA batteries in for over 24-hour continuous use. The Iron Man arc reactor replica is priced at $20.16 USD. If you’re interested, jump to Etsy for its more details. Need more choices? 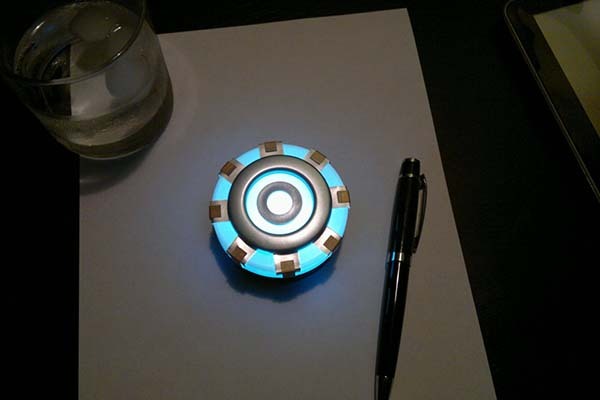 You may also like to check the Arc Reactor light-up coaster set and more cool content by following tags.